Overalls are one piece of clothing I hope never goes out of style. I LOVE them. My favorite part about them? 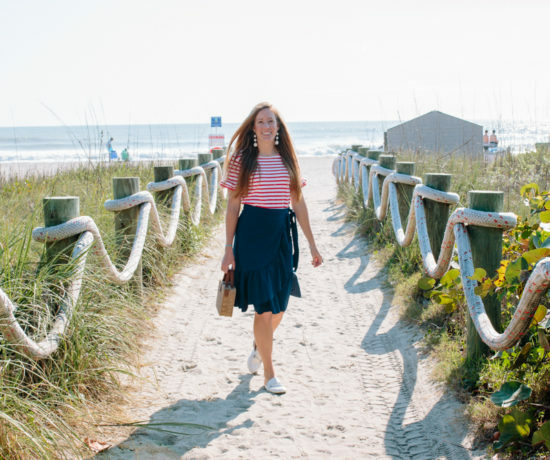 They are extremely easy to style and make getting dressed in the morning so quick. 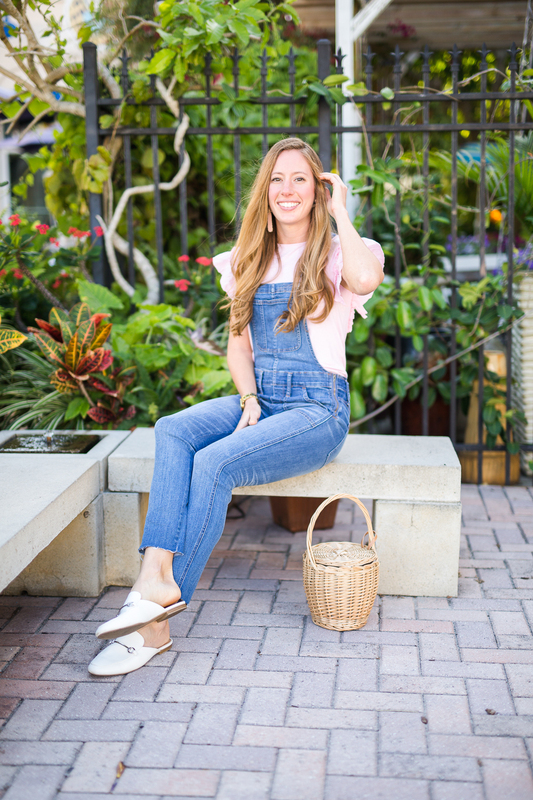 As a girl who avoids jeans as much as possible, overalls are a great alternative to dressing comfortably while looking and feeling great! 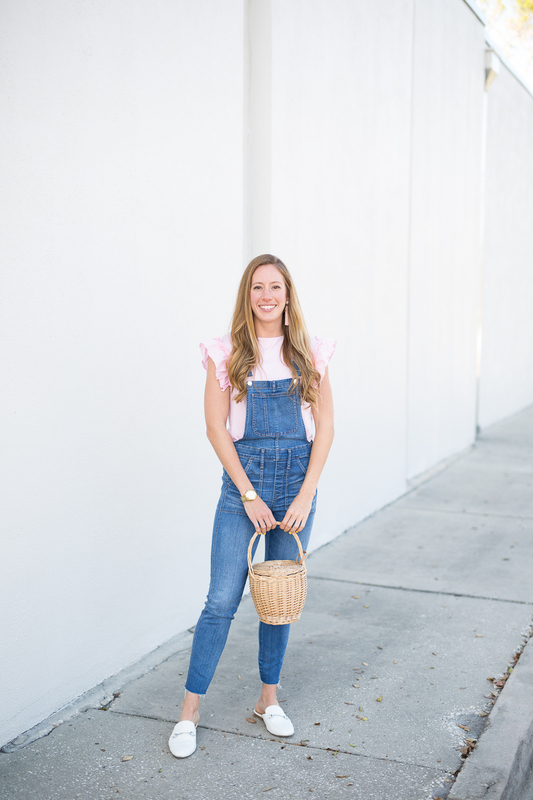 You will catch me every Friday wearing these Madewell overalls! When they first arrived in the mail, I wore them for three days straight and I never do that! 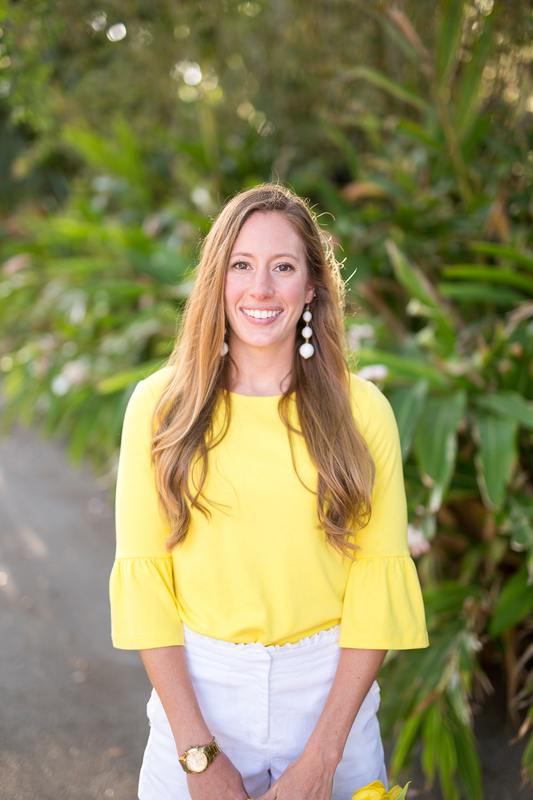 My students have started to notice how often I wear them and have made comments that I look like a minion, farmer and also tell me in their exact words, “Yo Ms. McCar-tay, yew look clean”, which means cool in middle school lingo. I really do love my kids, their crazy comments and they totally make my day with the silly remarks they say! When I say I love these overalls, I really do mean it. They fit like a glove and although their definitely a splurge on my teacher budget, their 100% worth it. I’m wearing a size Small, am on the taller side at 5’8 and they couldn’t fit my body more perfect. 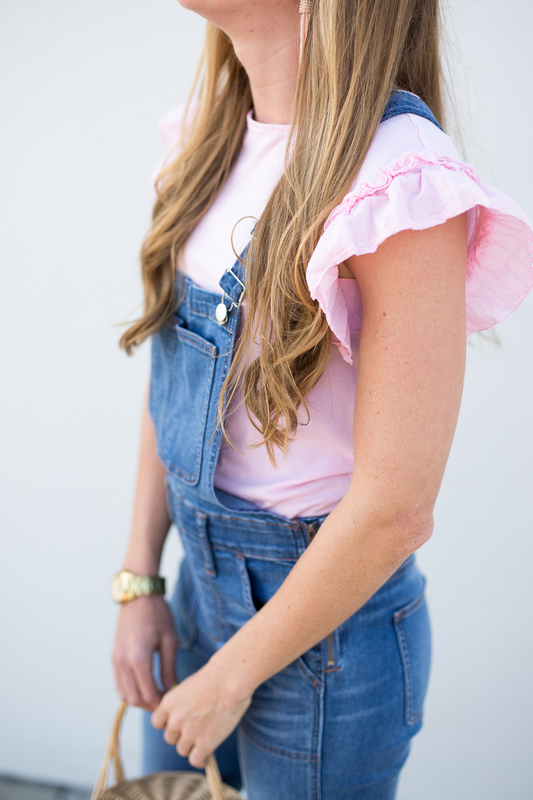 I’ve seen petite bloggers like Cori from Dress Corilynn, tall Instagram gurus like Karla Reed and Julie Engel from Gal Meets Glam wear them and they all look amazing in the same Madewell overalls. If these are not in your budget, I totally understand the struggle of wanting to look cute and not break the bank which is why I found a few pairs here, here and this adorable white pair for under $100. The bib part of these overalls was to loose when my awesome photographer and I shot these photos and I didn’t notice until afterwards. To fix it, all you need to do is tighten the strap at the top. 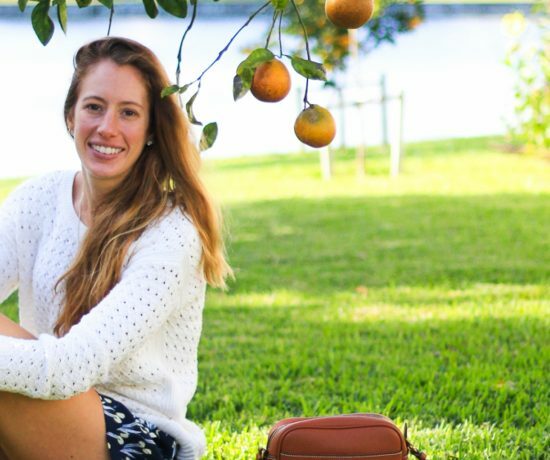 Even fashion bloggers have fashion bloopers. Ha! 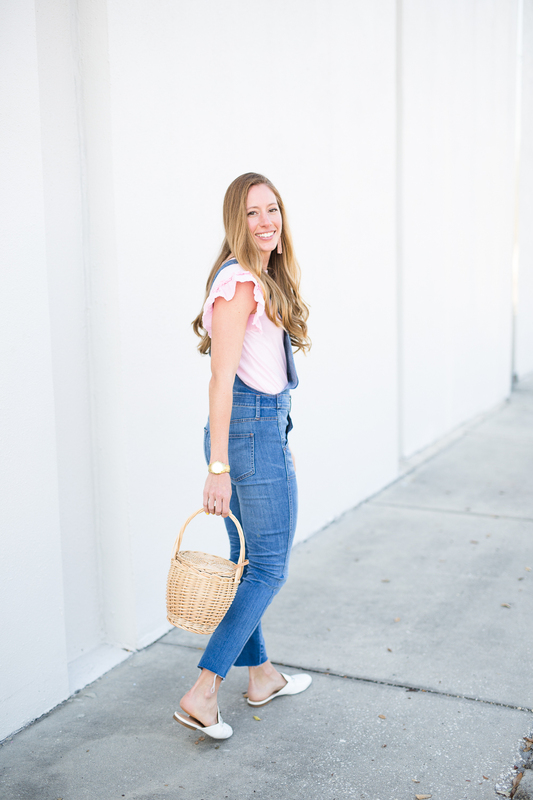 My favorite way to style overalls is with a ruffled top to give it a more feminine look. 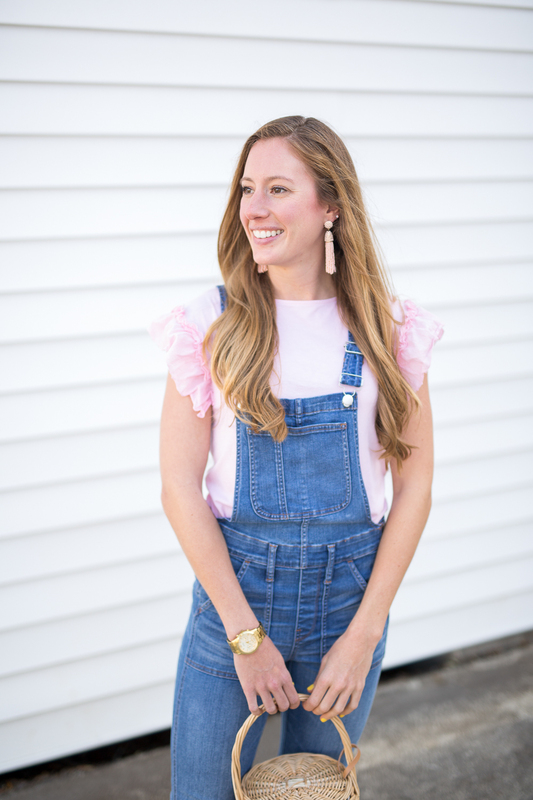 Normally I am not one to buy clothes from Target but this pink ruffled top I’m wearing in the photos caught my eye in store and I couldn’t leave without it! 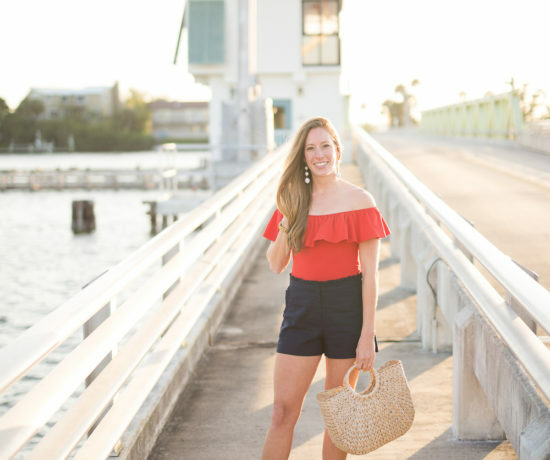 Besides ruffles, they look great with blouses, like this top here, embroidered, lace or eyelet tops, like this white eyelet top and a basic t-shirt like this scoop style that comes in four neutral colors. 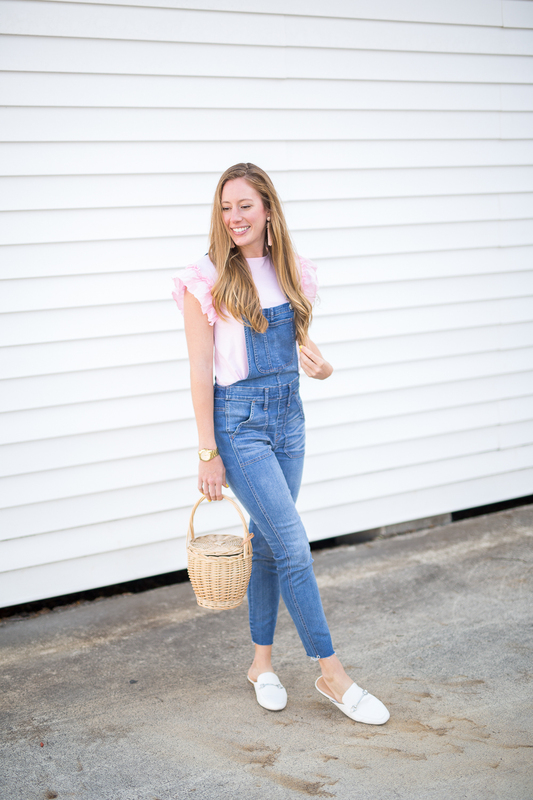 As far as shoes go, sneakers, loafers and sandals are my go-tos when styling overalls for Spring. 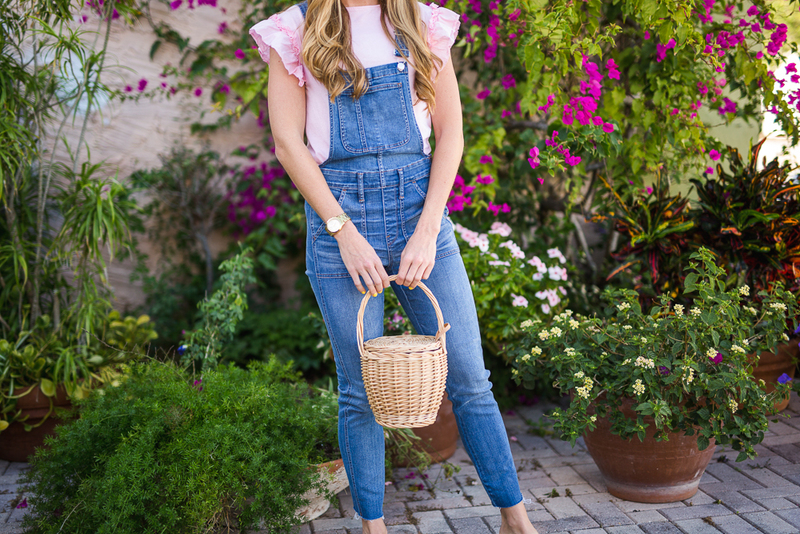 To see how to style these overalls four more ways, keep reading! All photos styled with the same Madewell overalls! Here are four other overall outfit ideas. These are really the way I have worn and styled them and I plan on wearing a variation of these 5 looks during Spring. In a month or so, I plan on creating a more in depth guide on how I prefer to style them in the summer! Want a hint? Tank tops! I really enjoyed creating this post and I hope you find it useful! Now that the school year is winding down (there’s only 4 days left of school for this teacher, wooohoooo! ), I will have tons more time to write more in depth blog posts like this one! Actually, I’m super excited to be able to dedicate more time to my site this summer. Turning Sunshine Style into a full-time gig is a huge dream of mine that I hope I can accomplish in the next few years. There’s so much work that goes into a website behind the scenes that goes unnoticed. I do plan on busting out a ton of summer content when I’m in Hawaii this summer, so you can look forward to that! Just typing that out still feels so surreal! 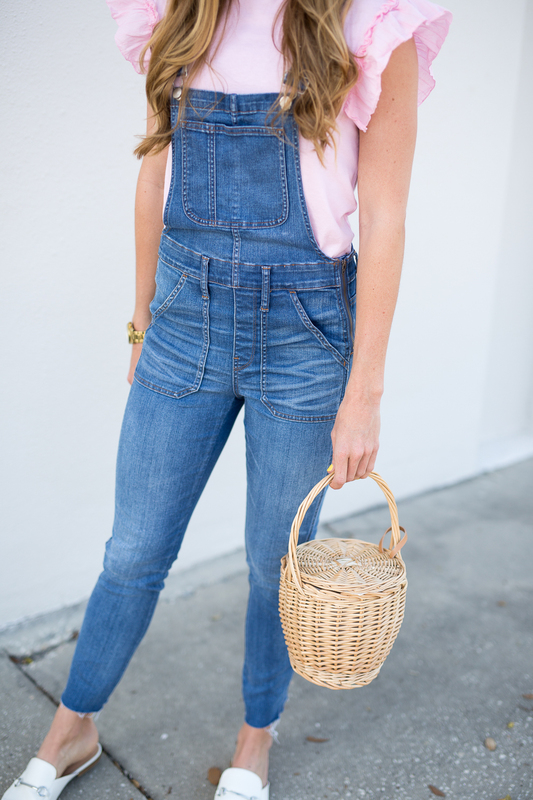 Do you already own a pair of overalls? 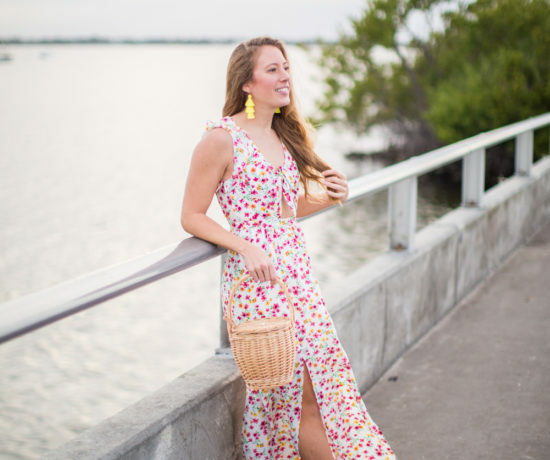 What is your favorite way to style them? Let me know in the comments! I love connecting with you! I love this and overalls but I get nervous that I am too short to pull them off! The overalls look so cute!!! I love the top you paired with the overalls. Thanks Court!!!! =) =) The ruffles are so fun and one of my fav tops for summer! Hope your having an amazing weekend! Hi Katie! I LOVE the overalls! They are adorable! I used to live in mine too, back in the 70’s. Lol Then I took a pair and took the stitches out of the legs and added fabric to the sides and sewed it all together to make a jean/dress from them. I’ll have to dig out an old photo to show you one day! THANKS LueAnn! Your always so kind and encouraging!!!! My mom used to wear them with tube tops. Shes shown me photos and it’s hilarious because it’s exactly like what we wear now! I’d loveeee to see your photos of the dress! That would be so fun! This is SUCH a cute outfit. Loving that fun straw bag too. Thanks Jessica!!! 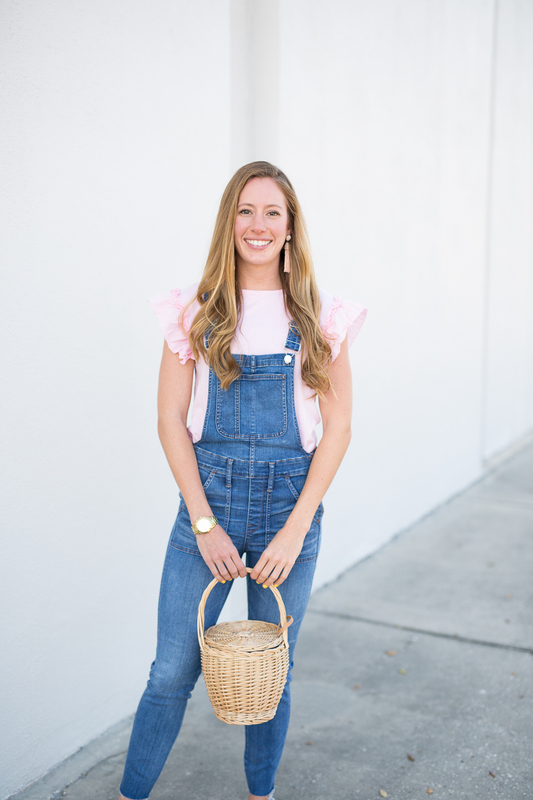 Straw bags are my fav and overalls are really the best casual outfit ever! Your awesome! Have a great week! I’m going to give the Faux Leather leggings a go. Thanks! !